p1460m1574576 - RS - Man on an evening run along abandoned railroad tracks near Pullman, Washington at sunset. The dust cloud is from nearby farming activity. 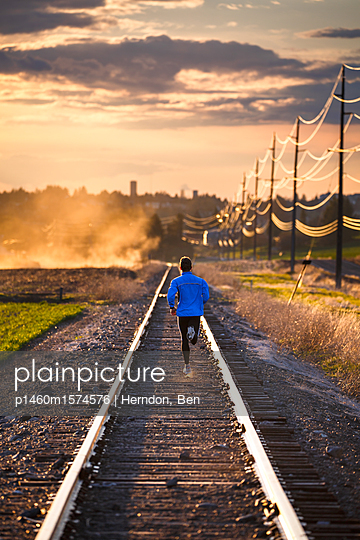 Man on an evening run along abandoned railroad tracks near Pullman, Washington at sunset. The dust cloud is from nearby farming activity.